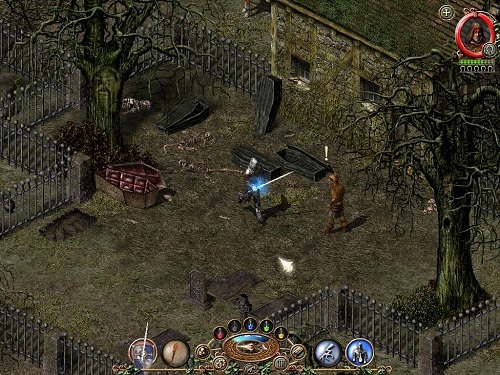 Sacred is a 2004 action role playing game for Windows with a dark atmosphere and a good selection of class options for players. The game has a single expansion pack available (Sacred Underworld) which was released in a bundle pack titled Sacred Gold. Sacred takes place on the continent known as Ancaria which is populated by a large number of towns with wilderness in between. The game has some open world elements with over half the game world being accessible to players from the very start of the game. In order to cut down on travel time players can ride their own horse around Ancarnia. This horse can even aid players in combat and be equipped with a variety of saddles to boost their stats. Horses can take damage and even die so players have to take good care of their travelling companion. Character choice is one of the most impressive features of Sacred with players having the choice of 6 different characters. 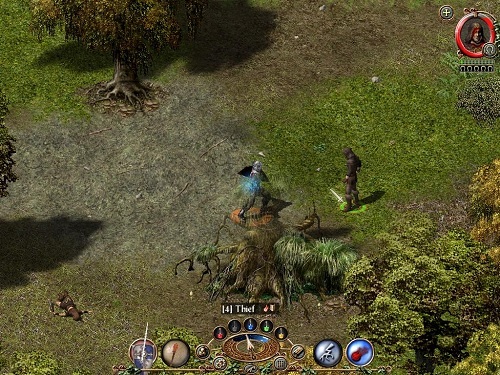 Players can select the barbarian gladiator, the battle mage, the vampire knight, the rogue like dark elf, the angel fighter or the wood elf who is deadly at long range. Two additional classes were added in the expansion (Daemon and Dwarf). Your choice of character ties in directly to the players starting area in the game and also impacts on the side quests available to players which means there is great replay potential in the Sacred game world. Each character also has their own set of skills along with item restrictions. Unlike traditional action role playing games that has the player level up and increase their power through skill points players instead have to find runes for their associated skills. Sacred’s gameplay still stands up against more modern game even if its graphics don’t and is highly recommend for fans of the action RPG genre. Popular and impressive action RPG experience. Travel the semi-open world on horseback. Choose from one of six (eight with expansion) classes each with their own starting area. Plenty of items to collect and use in battle. Use runes to level up your skills rather than skill points.